Why the Tax-Exempt Cayman Islands are the Perfect Place to do Business. Cayman Enterprise City is the future, and the Cayman Islands is the only viable offshore destination for your business! The spirit of Cayman is entrepreneurial, and it is an extraordinary blend of paradise and modernity not found in any other Caribbean island. 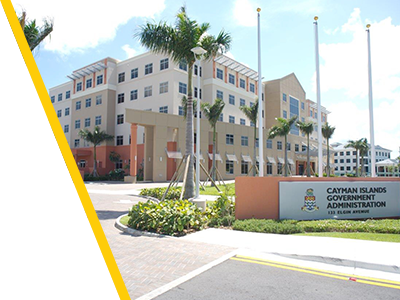 It’s fast becoming the offshore digital jurisdiction of choice and our pro-business government, with an eye to the future, has entrusted Cayman Enterprise City to create a technology hub to attract entrepreneurs, start-ups, mid-sized enterprises and large corporations to set up in the Cayman Islands. They’ve removed the red tape and granted incredible concessions so it’s quick, easy and cost-effective to set up in this special economic zone. Cayman is a safe and stable English-speaking British Overseas Territory. The jurisdiction meets the highest anti-money laundering and international cooperation standards. It offers a pro-business regulatory environment. It’s one of world's leading international financial centres. Cayman is the #1 hedge fund jurisdiction worldwide. The island is a centre for first-class service providers and international law firms. Cayman operates under a robust legal system based on English common law. It is sophisticated, cosmopolitan and offers an upscale lifestyle. You can be almost anywhere in the world, with one connecting flight. Easy access to lucrative Latin American and global markets. Follow those who are leaving the high-pressure competitive culture of Silicon Valley and similar tech centres. The Cayman Islands offers a great lifestyle and can foster new ideas and creativity. We are here to help you succeed – let’s get started!